Karen Hall holds degrees in music performance from the University of Illinois and Texas Christian University. She has been a member of the cello section of the Fort Worth Symphony Orchestra since 1979 and received the American Airlines “Distinguished Musician of the Year” award in 2004. Karen has also held positions with the Dallas Opera Orchestra, the Memphis Symphony, and the Hawaii Symphony. Ms. Hall was the founder and artistic director of Hall Ensemble, a chamber music group specializing in intimate, small-venue, chamber-music concerts. 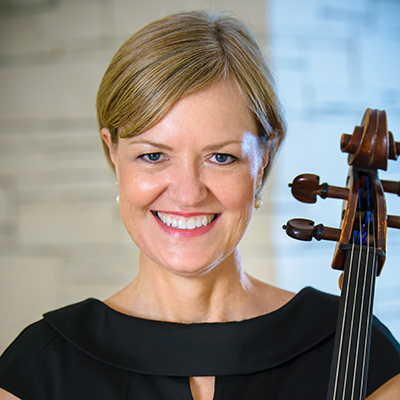 An ardent proponent of historic performance practice, she also plays the Baroque cello and viola da gamba, and is a founding member of Texas Camerata.